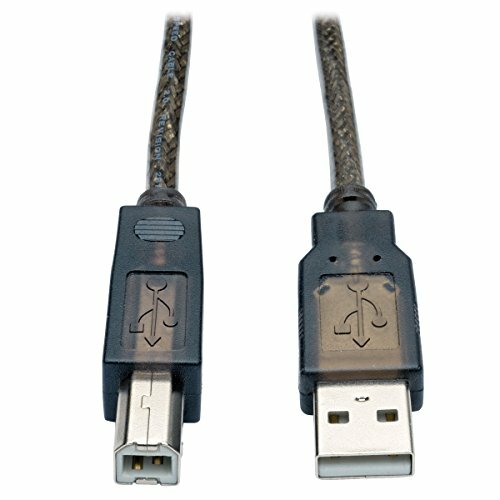 The Tripp Lite U042-050 USB 2.0 Hi-Speed A/B Active Repeater Cable(M/M) extends the distance between a USB Type-A device and a USB Type-B device up to 50 feet. Because the USB 2.0 specification limits the distance between devices to just over 16 feet, the U042-050 features a bus-powered signal booster that extends the USB signal’s range with no loss in signal quality or performance. Ideal for connecting a printer, scanner or card reader to a host computer up to 50 feet away, the U042-050 supports data transfer rates of 480 Mbps and provides up to 150mA of power to the connected device(if your device needs more than 150mA of power, it will either need its own power supply or to be connected to a powered USB 2.0 hub, such as Tripp Lite’s U222-007-R). It meets or exceeds USB 2.0 specifications and is backward compatible with previous USB generations. The U042-050 is plug-and-play with no external power supply, drivers or software required. You can hot-swap connected devices – for instance, unhook your printer and connect a scanner – without having to power down the computer. 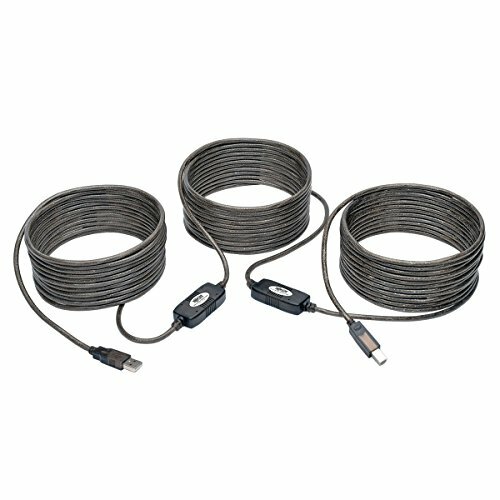 This active repeater cable works with all major operating systems. Premium aluminum Mylar foil and tinned copper braid shielding protects your connected devices from EMI/RFI interference. Molded nickel-plated connectors with gold-plated copper contacts ensure excellent conductivity. Integral strain relief ensures the cable and connectors last a long time.